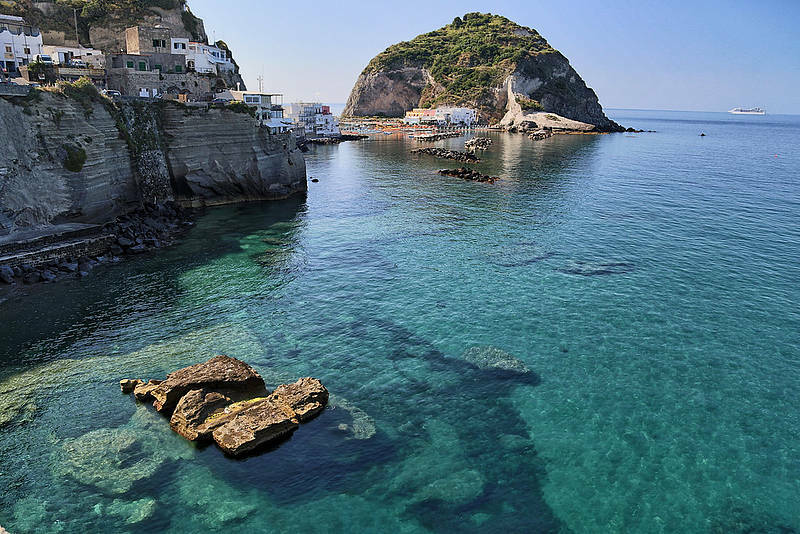 A full day at sea from Sorrento to explore the islands of Ischia and Procida, including free time on land and stops to swimming and snorkeling. 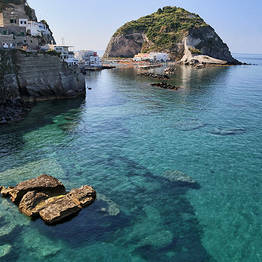 Pick-up from Sorrento and transfer to Piano di Sorrento port. 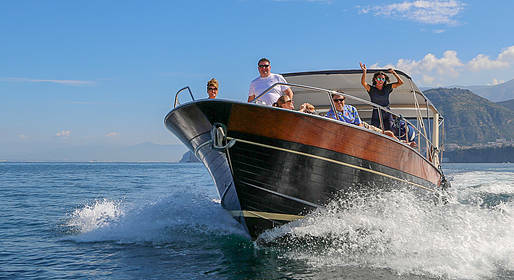 Boat tour by traditional Sorrento boat, departing first for Procida across the Bay of Naples past Nisida, the Campi Flegrei, and Punta Miseno. 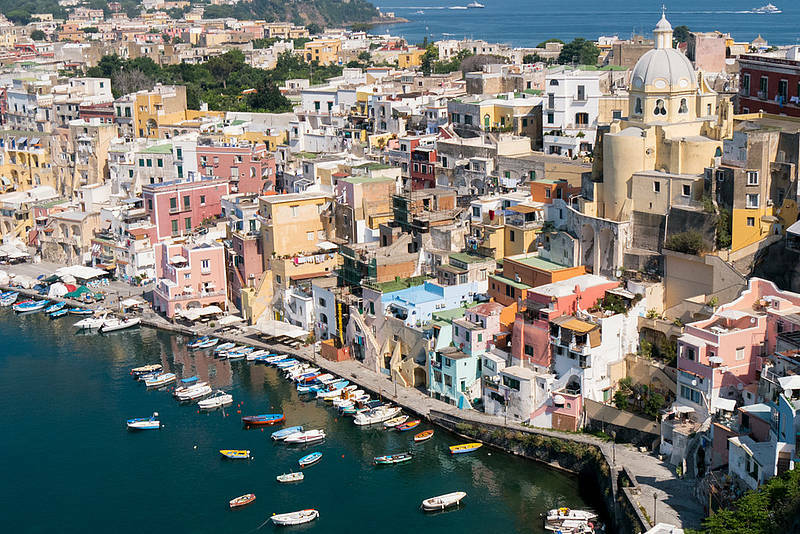 Tour around the island of Procida by sea. 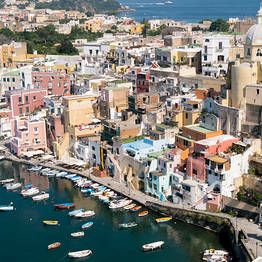 Free time to visit Procida by land. 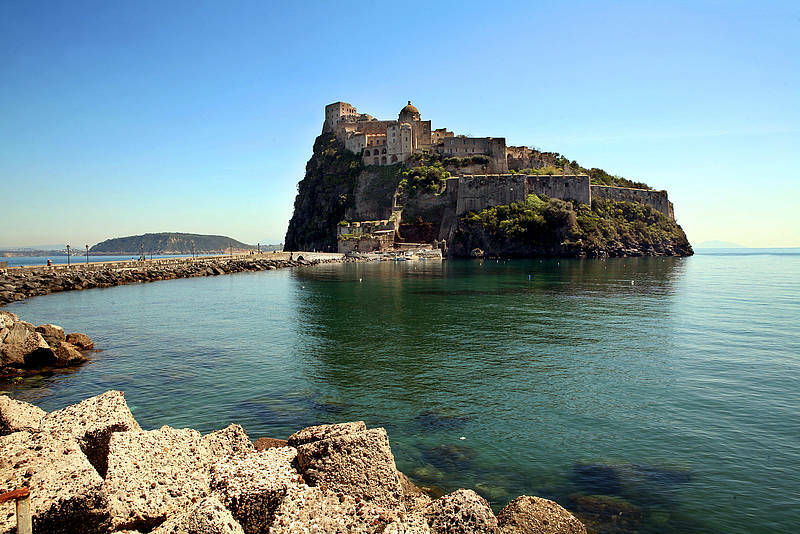 Boat tour of Ischia including the Aragonese Castle, the Grotta del Mago, the Bay of Sorgeto, and the Maronti beaches. Stops to swim and snorkel in the quiet bays. 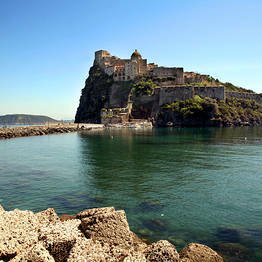 Free time to visit Ischia by land. 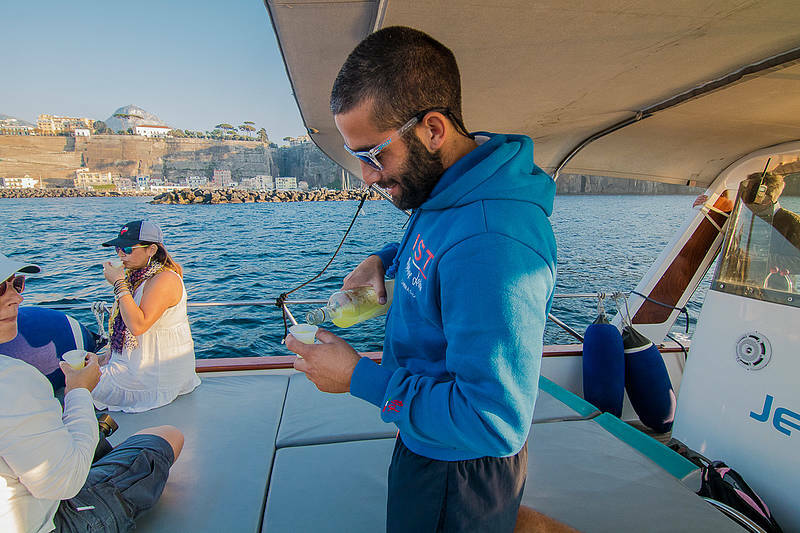 Snacks and beverages, life jackets for adults and children, snorkeling gear and wc on board. An 8-hour tour beginning at the port at 10:30AM. Hotel and meeting point pick ups begin around 9:30AM. We will contact you with exact time and place of pick up upon booking.